Preschoolers and 7th graders decorate the Sukkah together. During Sukkot, Principal Miriam Schiller is often asked about Akiba-Schechter’s stance on Chol Hamoed, the intermediate days of the holiday of Sukkot. Many Jewish day schools close their doors for all of Sukkot, with the rationale that this is a good opportunity for family trips and vacations. However, at Akiba-Schechter we feel that closing can also be a missed opportunity for a school. While we provide an excellent education at Akiba-Schechter, an excellent education amounts to so much more than challenging academic programs. The difference between a good education and an excellent one is not always easy to pinpoint, but it has a lot to do with intellectual and emotional honesty: Living a value rather than merely teaching it. 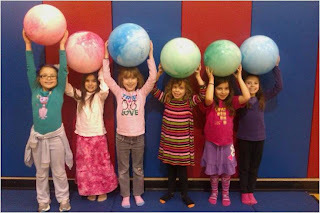 For instance, we are committed to our Buddy System and other inter-age activities, not only because they are good pedagogic practice, but also because they are part of our larger mission: to help create decent human beings who care that they are part of something larger than themselves: a school, a community, and in this case, the Jewish people. Holidays like Sukkot provide much-needed room for teachers and students to engage in less formal activities – activities that students will remember long after a test or due date has passed. So the intermediate days of Sukkot are dedicated to exactly those activities that are Jewish-themed and also give the children and teachers an opportunity to celebrate a holiday together. to hold and shake a lulav. We serve lunch in the school’s Sukkah, even if it is cold, and students love to sit together, brave the wind, and admire the handiwork of the decorations they created together. During Sukkot, P.E. teacher Sara Price organized Sukkot-themed physical activities during which students of different ages worked together, and older students were called upon to be leaders. Another day found the middle school students hosting a Sukkah fair for younger students and guest judges. They had worked in groups to create models of the various ways a Sukkah can be built, following discussions in the Mishnah. Middle school students also visited the preschoolers to show them how to shake the Lulav and hold an Etrog. from the middle school students. These aspects of Jewish education reach beyond “excellent academics” and give “community” a real meaning, and they are why we at Akiba-Schechter choose not to close our doors on Chol Hamoed. 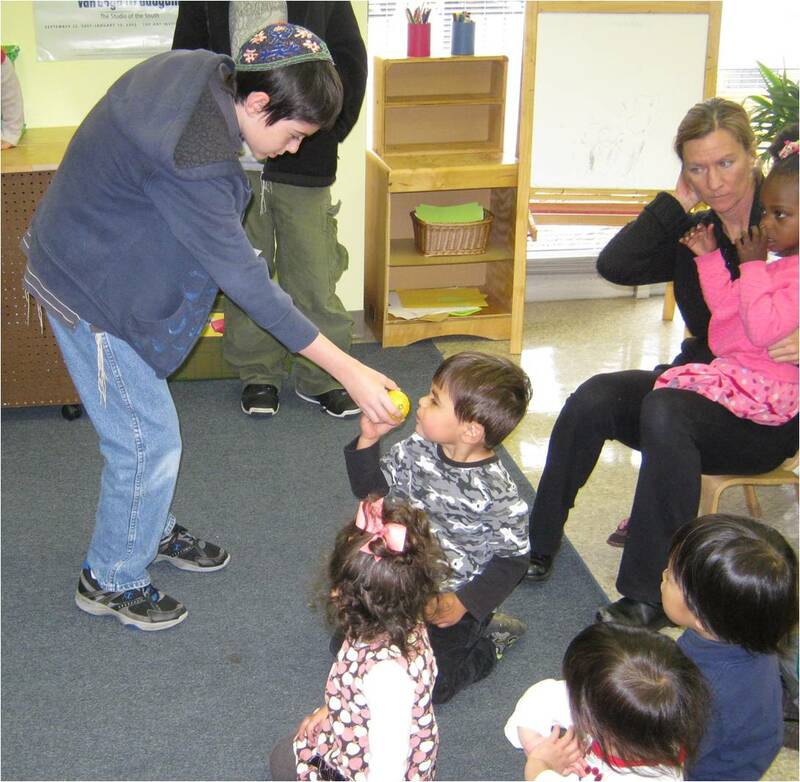 Akiba-Schechter teachers share tips on how to ease the transition from Kindergarten to first grade on the NPN Blog. Check it out! What If your Child Isn't Athletic? Parents often come to me in despair: “We have tried everything! My child just doesn’t like sports!” But “everything” often refers to the more prevalent sports like Little League baseball, after-school basketball, or soccer. All of these are wonderful programs, if your child enjoys team sports. However, many children prefer the solitary challenges of an individual sport, like gymnastics, swimming, or fencing (my personal favorite). Variety is important in making physical education more appealing, and exposing children to many different sports can be the key to finding one that will engage them. At the beginning of every school year I remind my students that they may not love every activity we learn, but they will all find something they do love. To me, this is the key to increasing the likelihood that someone will remain active and fit throughout his or her lifetime.